T-Mobile today announced that it will soon carry the LG F3Q, a new Android smartphone that comes with a sideways-sliding QWERTY keyboard. 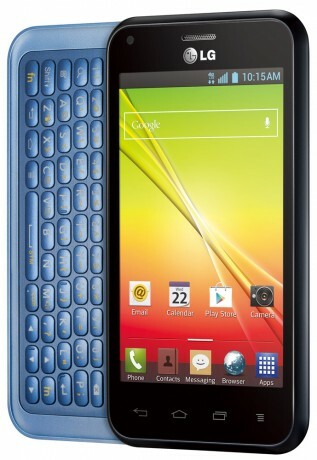 The device includes a 4-inch LCD screen, 5-megapixel camera, and compatibility with T-Mobile's LTE 4G network. It offers LG's signature user interface, including features such as QuickMemo, and QSlide. The LG F3Q will go one sale online and in stores February 5. T-Mobile is asking for $0 down and 24 monthly payments of $13. The total cost of the payments is $312. Boost Mobile announced the LG Optimus F3 is available beginning today for $129.99. The F3 runs Android 4.1.2 Jelly Bean and has a 4-inch IPS LCD screen with Gorilla Glass; a 1.2GHz dual-core processor; Bluetooth, Wi-Fi, and LTE 4G; and a 5-megapixel camera with 1080p HD video capture. Is this thing running Ice Cream Sandwich? It has the stock android browser which I thought was replaced in Jelly Bean with Chrome. I could be wrong though.